Microsoft has occasionally offered two Xbox One games per month as part of its Games With Gold promotion, but starting in July, that’s becoming the standard, the company announced. This July represents two full years since we began giving Gold members access to amazing games, completely free. As a special thank you to our Xbox fans, we’re announcing that starting in July, Games with Gold will offer two new games on Xbox One every month. Assassin’s Creed IV: Black Flag and So Many Me are the Xbox One games this month, with Plants vs. Zombies and Gears of War 3 for Xbox 360. Black Flag? Not bad! In the past, Microsoft has been criticized for not only having a much smaller selection than its competition, but not exactly offering the cream of the crop, either. Unlike PlayStation Plus, the games are staggered throughout the month. 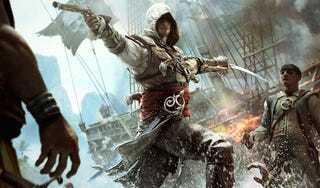 Assassin’s Creed IV and Plants vs. Zombies hit July 1, while So Many Me and Gears of War 3 arrive on July 16.